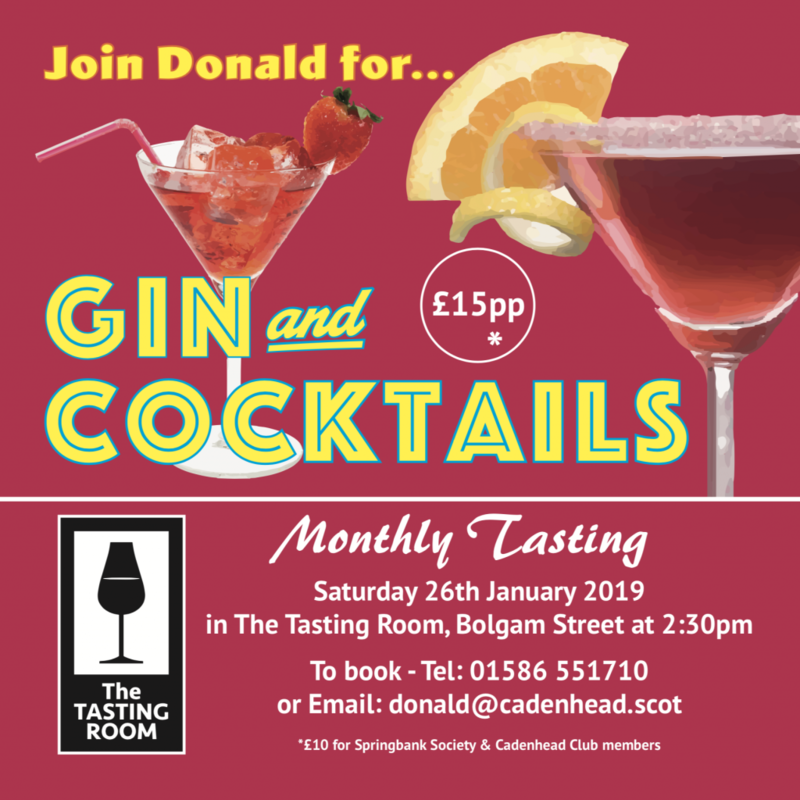 Donald’s Monthly Tastings return in 2019. 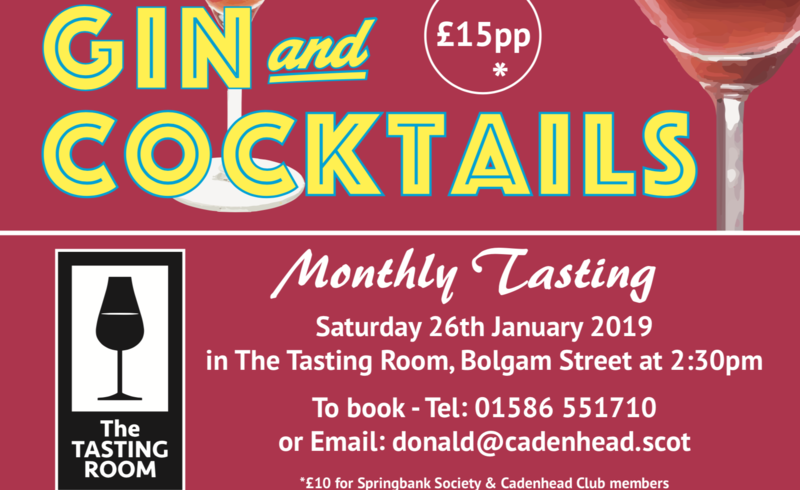 On Saturday 26th January Donald will be serving up Gin and Cocktails in the Campbeltown Cadenhead’s Tasting Room. Join Donald at 2.30pm (enter through the shop).